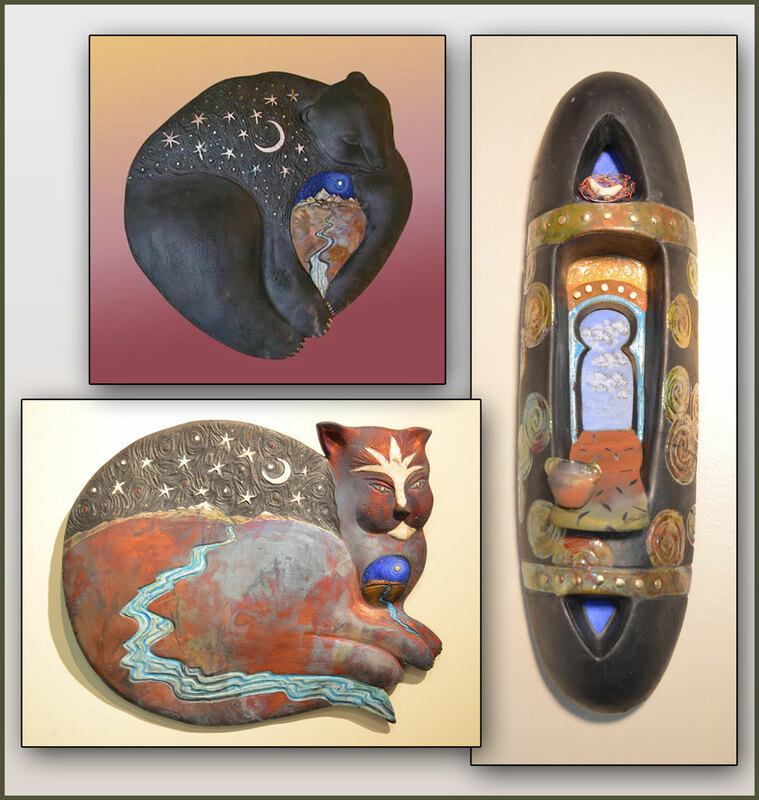 In August, Ashland Artworks presents beautiful claywork by two brilliant artists. 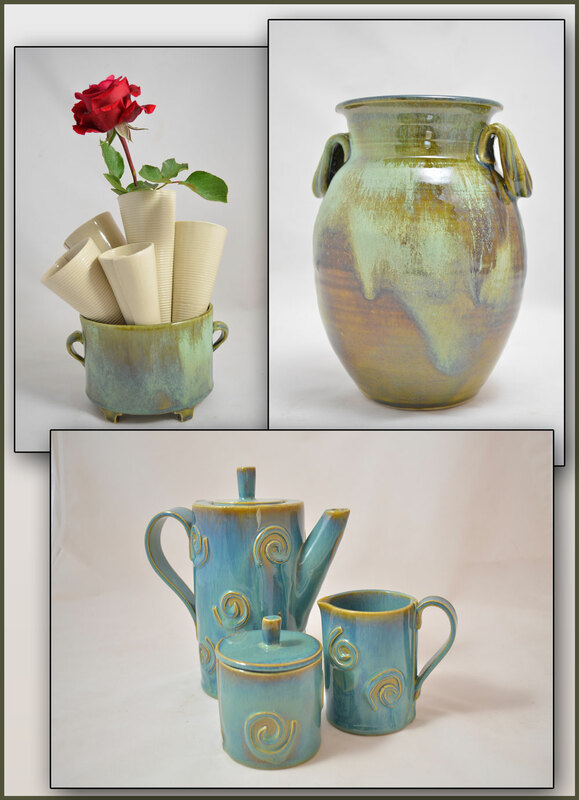 Marydee Bombick’s interest in clay began in her early teens when her aunt taught her to paint on pre-formed pieces. She still has the first bowl she decorated, a Mother’s Day gift, in 1958. After graduate school she took a summer class in throwing pots, and was hooked. She now works out of a lovely studio with fabulous views of our valley, a constant source of inspiration. Lorene Senesac’s work is informed by dreams and travels to ancient and sacred sites on this continent and abroad. Her clay sculptures predominately depict portals or gateways leading the viewer on a journey. Come enjoy the unique and evocative guitar sounds by Chris Cummings.